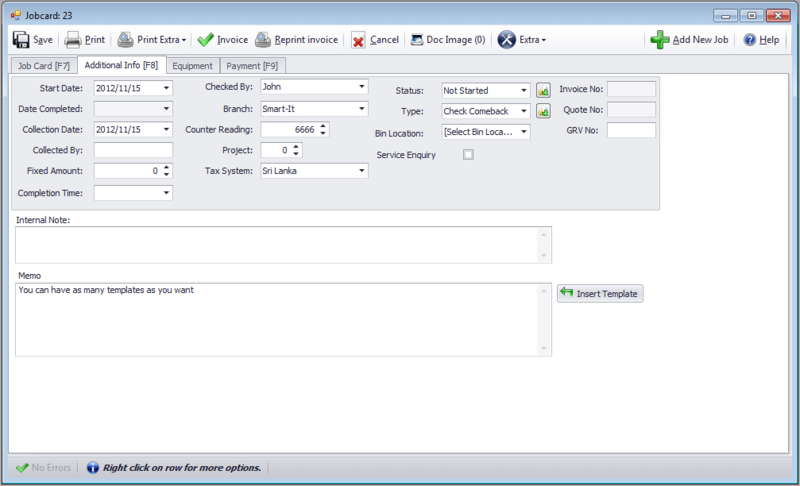 Smart It job card software makes managing and profiting from job cards easier. 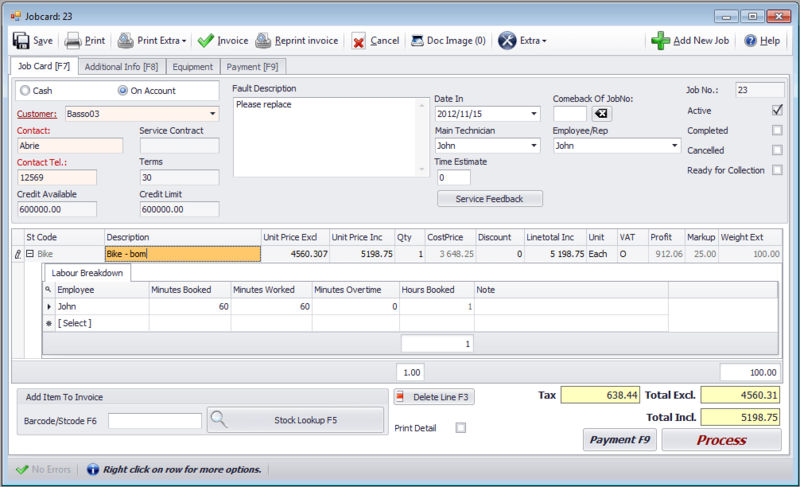 Job costing and control all built in. Measure hours booked and hours worked. All job cards are held forever and may be accessed anytime. Lookup customer equipment by registration or serial number. 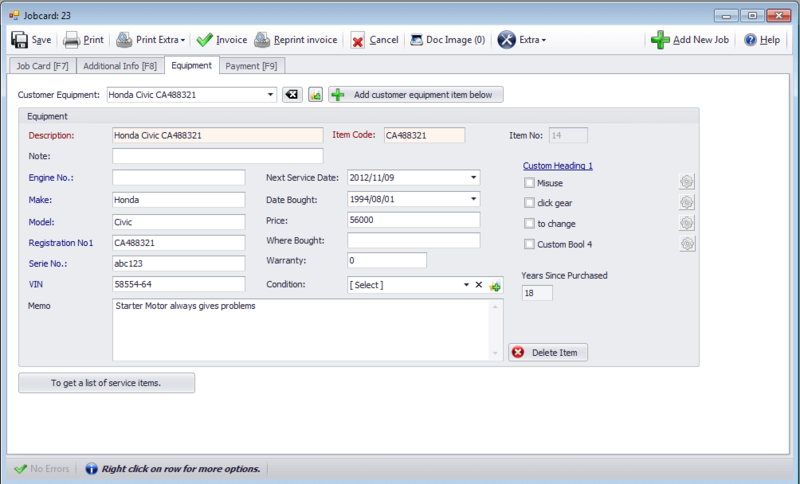 Unlimited stock items with serial number tracking. Smart It job card software is ideal for garages, repair shops, maintenance, computer workshops.